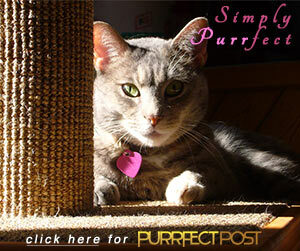 Home Cat Care Safety Should You Use a Flea Collar on Your Cat? Spring is a time when many pet owners turn their attention toward fleas and how to prevent them. One thing many cat owners do is put a flea collar on their pet. But are flea collars safe for cats? No, flea collars are generally not safe for cats. They work by either emitting gas that is toxic to fleas into the area around the cat's head or by releasing chemicals into the pet's skin. These chemicals can be ingested by cats through grooming of the area where the flea collar has touched or when a cat manages to get his jaw under the collar in an attempt to remove it. This article refers to flea collars that are purchased at pet stores, not prescription collars prescribed by your veterinarian. Flea collars can also irritate the skin in the area where they are lying, causing the kitty to scratch. Further skin damage and secondary infection are common. Cats are extremely sensitive to chemicals, so they can be particularly sensitive to flea collars. The use of dog flea products on cats is especially dangerous. Do Flea Collars for Cats Work? Most veterinarians feel that flea collars don't work. They may keep fleas off a cat's head, but not the rest of the body, and many of them aren't able to kill fleas. The best way to prevent fleas in cats is through the use of prescription flea preventatives specifically made for them. Your veterinarian can help you determine which product is best for you and your situation. If you have a flea infestation in your home, you can cut a flea collar up (using gloves, away from your cat) and put the pieces in your vacuum canister. When the fleas are vacuumed up and exposed to the flea collar in the confined space, they'll die, and you can empty the whole thing into the trash, close it, and remove it from your home.